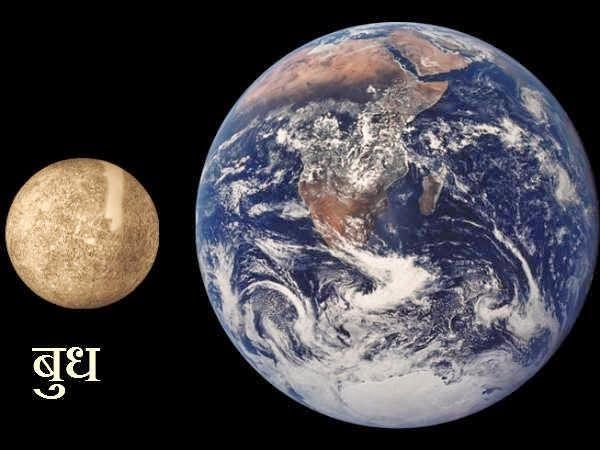 What are the importance of Mercury planet and its effects on your life.Here is detail post on how to improve mercury planet (budh grah) so you can improve your life style. Mercury is the soft and beautiful planet compared to other planets. It is also called as crown prince. It has earth element. It the owner of Virgo and Gemini sign. Mercury is the factor of knowledge, concentration, speech, skin, beauty and aroma. It is also factor of nose, ear and throat. Knowledge gets power due to Mercury. One can get success in mathematical and financial matters. If Mercury is weak then one has skin problems. Their skin of face gets dull. A person have allergy of cold-cough. They take time to understand the situation. Their memory power becomes weak. They forget the things. They face ups-down regarding money. If Mercury is bad then person may have habit of fraud and duplicity. Children have problems relating to nose, ears if their Mercury is weak. You have to take care of their food habits. Parents have to push their children to eat green vegetables and fresh food. They have to concentrate on their behavior. They have to chant mantra of Mercury. They get success. A person whose Mercury is good they are vibrant. Their face have glow. They are apt and always say clear. They understand easily and remember for a long time. They loves aroma and keep away themselves from stink. They get more success in the field of finance, consulting and management. They have good power of express. They are devotee of lord Ram, Krishna or Vishnu. You have to keep away yourself from stink. You can use aroma. You can also use light green color. Female have to use less cosmetics. A person has to use more green vegetables. You can wear ring of bell metal in last finger of left hand on Wednesday. You can worship lord Vishnu and Krishna. You can chant of “Om Bum Budhay Namah” mantra 108 times every day in the morning. Children who are active in the sports their Mercury is also good. Mercury is the owner of speech. A person having good Mercury in birth chart they can get success in the field of music. They have good knowledge of instruments. They can also get success in finance, marketing and management field. Advice: When you lose your important stuff then take white handkerchief. Keep one rupee coin the center and covered it by four corners. You have to keep this handkerchief at worship place. You will find your lost stuff in 24 hours. Good Luck: If you want good success by doing less work then you have to seat facing north side during lunch/dinner. Do not wash hands or mouth in dish as it increase the poverty.